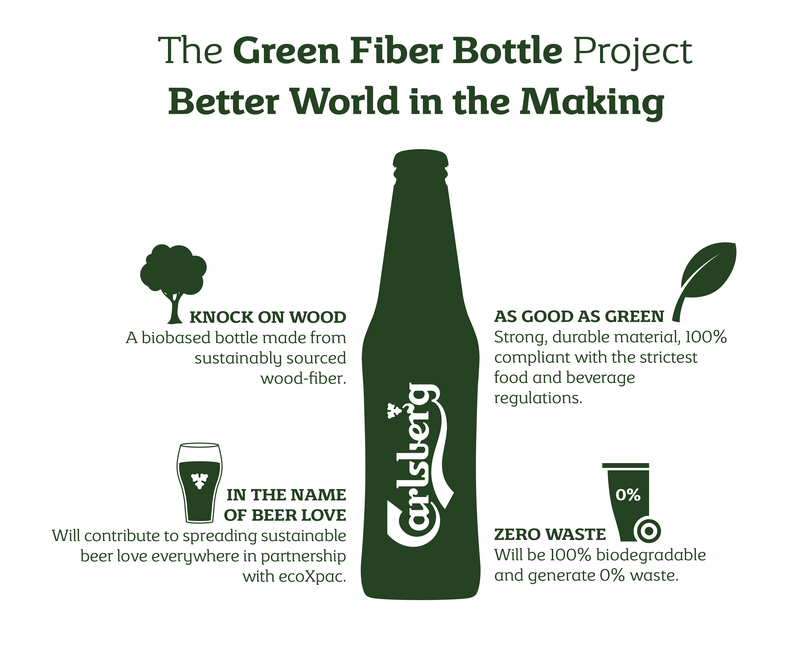 The brewery group Carlsberg has embarked on an ambitious project: A bottle made entirely from biodegradable and sustainably sourced wood fibers. If the project goes as planned, glass and plastic bottles could soon be history. Carlsberg is one of the leading breweries in the world and sold about 36 billion bottles of its 500 beverage brands in 2013, which include Carlsberg, Tuborg and Baltika. Switching from glass to wood fibers could have a major impact on the way people consume beer and could also significantly reduce waste. However, the green bottle would require a major mentality shift from beer drinkers who are used to holding a cold glass bottle or aluminum can in their hands. The new packaging will be non-transparent and non-breakable. 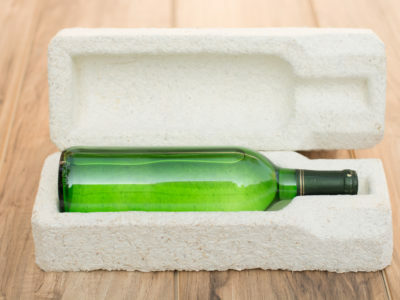 The bottle’s material will look somewhat similar to that of an eggbox carton with a visible fiber structure. There won’t be the typical “clink” when tapped with another bottle but beverages will stay cool longer compared to aluminum cans, according to the company. The bottles can be recycled like cardboard or newspapers and will decompose naturally. For Carlsberg, the new bottle is a piece of a larger puzzle. 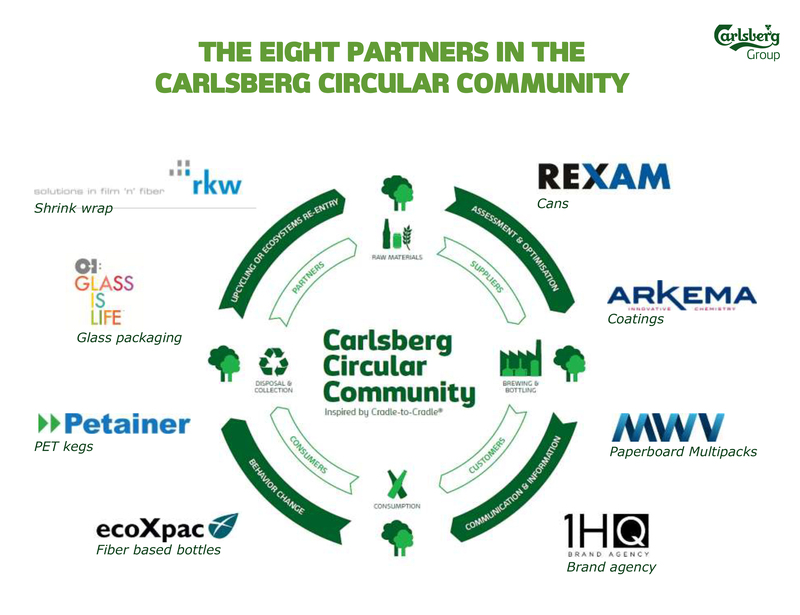 It is a project of the Carlsberg Circular Community (CCC), a cooperation between Carlsberg and selected partners who are pursuing a circular, zero-waste economy by using the Cradle to Cradle framework when developing and marketing new products. 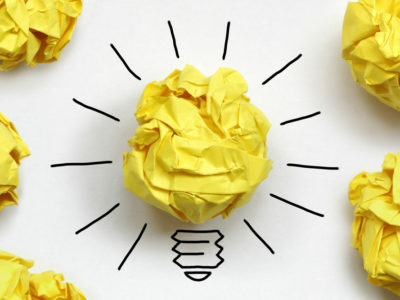 In the green-bottle-project, Carlsberg joined forces with the packaging company ecoXpac and worked together with the Innovation Fund Denmark and the Technical University of Denmark. 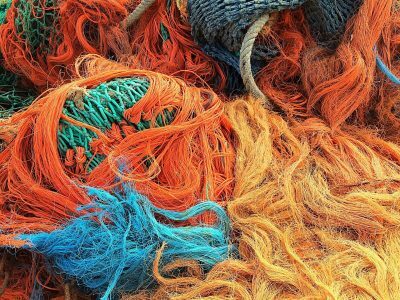 EcoXpac specializes in designing, developing and producing products made from recycled or natural biodegradable fibers that are produced with a neutral CO2-balance. The green bottle project will run for three years and a first prototype already exists. “If the project comes to fruition, as we think it will, it will mark a sea-change in our options for packaging liquids, and will be another important step on our journey towards a circular, zero-waste economy,” says Andraea Dawson-Shepherd, Senior Vice President for Corporate Affairs. 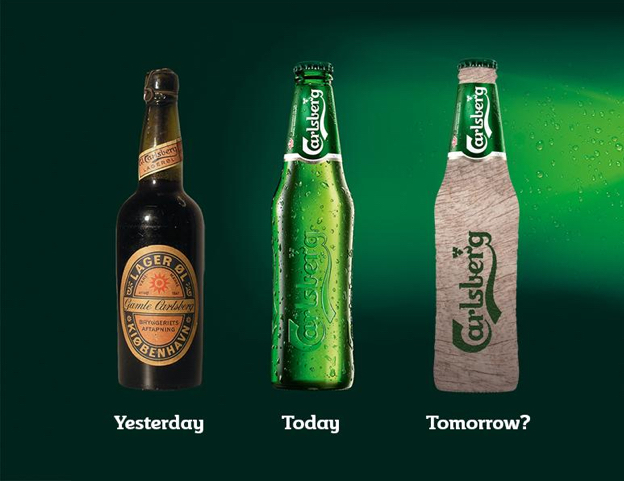 However, the green bottle made of wood fibers is not going to replace all of Carlsberg’s bottles overnight. Instead, the company wants to give its consumers different options. In Denmark, where glass beer bottles are recycled and used up to 30 times, the green bottle may not be the most environmentally friendly choice. In the U.S., where only 28 % of glass beer bottles are recycled, the outcome of an environmental assessment of the two options could be different.